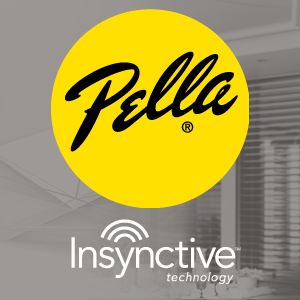 Cinegration Development’s Pella Insynctive driver provides a complete interface with Pella's Insynctive platform. You are able to interact with Pella's blinds and shades, as well as Insynctive platform contact sensors, lock sensors, and garage door sensors. This driver is compatible with Control4 2.10 or higher. A strong network connection is required to effectively utilize this driver. This driver ONLY works with the Pella Insynctive platform and hardware. If you are coming from an older version of the Pella Insynctive driver, you must delete the old driver and add the new driver. 1. Install Pella Bridge Driver via SDDP. You can use the “Discovered” tab via the Items tab on the upper right side of Composer, Or you may use the Connections>IP Network Connections section of composer. 2. As soon as you make the SDDP binding. The driver will scan the Pella Bridge for all of the devices. When the scan is compete the Bridge driver will display the amount of devices found. 3. Add one of each appropriate driver, ie. Pella Shade (single up-down motion shade), Pella Blind (blind with louver movement), or a contact sensor for any Pella Insynctive contact sensors. 1. Install (1) Insynctive Blind or Shade driver per each device that is enrolled to your Insynctive Bridge. 2. From the connections tab within Composer, bind the connection named “BRIDGE” to the corresponding Insynctive Bridge. 3. When you enroll your devices to the Insynctive Bridge, devices are enrolled in sequential order. If you enroll your blind first, followed by a contact sensor. The first binding on the bridge will be the blind, followed by the contact sensor. 4. You must set the total time it takes to for a shade to move from opened to closed, and closed to open. It is recommended you use a stopwatch/phone app to time this. 5. If your shade direction is not correct, try changing the “Shade Direction” property to the opposite value.